Finding itself short of reliable motive power and in need of an 0-6-0, the SMJR made the dubious purchase of an engine from the LBSCR. Dubious as despite being 36 years old with over 750,000 miles on the book, it cost £3,000 (expensive even allowing for wartime inflation) and it had no injectors, requiring movement to power the axle driven pump to put water into the boiler. On a line such as the SMJR, with a sedate if not leisurely progress this was not a good idea and the purchase was not popular with the crews. I have managed to obtain a (somewhat damaged) photo: another of the other side can be found at the splendid Warwickshire Railways site. 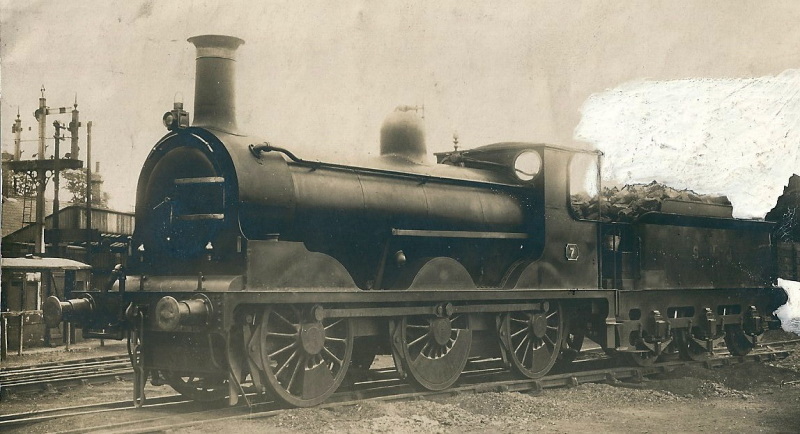 The engine lasted until November 1924 under the LMS, carrying the allotted number 2303 and a Midland chimney!